Sisters Chloe and Leah Smith grew up in an Atlanta family awash in music and culture, where categories and genres took a distant back seat to eclecticism and exploration. Their attempt to make a duo album under their own names gave birth to Rising Appalachia, an ensemble that blends Appalachian folk music, southern soul and gospel with the street sounds of jazz and hip hop. Tribune: How is your summer going? What kind of venues/festivals have you enjoyed most? Smith: Summer has been sweet and gentle so far, and we hope it continues in that direction. We've spent a bulk of the hot days up in Canada, performing for our first time at the immaculate Winnipeg Folk Festival as well as out on the coast of British Columbia. Got to sit in on a set with Tuvan throat singers, a Quebecois band and an Indian sitar player at Winnipeg, which will likely be a standout memory of the entire summer. The drones and overtones that came out of that collaboration were out of this world. We also did a little sailboat serenading out in the Salish Sea, which was dreamy and unique to say the least. Tribune: A little background: Where did you grow up? Who were your biggest musical influences? Did you learn from your family, environment? Smith: Leah and I were born and raised in the big, beautiful city of Atlanta. We spent our childhood between the urban South and the mountains of southern Appalachia, where we spent many weekends and summers getting our hands dirty and our minds opened by nature. Our mother was involved in the traditions of southern Appalachian folk music and became an avid student of the folk music, bringing us along to music camps, gospel churches, and front porches all across the South. We believe our music is a true mixture of the influences that raised us and continue to come into our lives. From the folk music of the Southern mountains to the urban hip hop and soul of our public school life, to the rich traditions of New Orleans where we lived and studied for seven years. Tribune: How did you morph from Leah and Chloe to Rising Appalachia? Was the mix of roots and more modern styles like hip hop there from the beginning? Smith: Our southern extended community of parents, uncles, aunties, mentors, godparents and teachers were deeply woven into our upbringing. There were lots of jams at our home, and we traveled often to musical gatherings around the South with our folks. So, that seed was planted long before we actually picked up any instruments of our own. Our blood had songs in it, you could say. Then, our formative years were in downtown Atlanta, which was and continues to be a hotbed of hip hop and soul music and a host of really incredible urban art. Naturally, we began to hear some relationship between the folk music of our parents and the folk music of the city (hip hop). The low end and bass tones that got us moving were not very present in fiddle and banjo music, so once we began playing there was an immediate curiosity about bringing some of that into our songs. When we started this project, our big hope and desire was that we could showcase all of our many influences. It wasn't about retelling Appalachian traditions nor was it about reliving urban traditions. It was about taking these influences from our lives in the South and mixing them up. So that was the idea, rising out of Appalachia. A new tradition was rising out of all the old traditions, making a life of its own. Tribune: What about Pickathon are you looking forward to? Smith: It's our first time performing at Pickathon, and we are thrilled to join what looks to be an incredible lineup and family of folk music lovers. The festival has been highly recommended to us for years, so we've blocked out some time to enjoy it a bit and hopefully get a full feel of what goes down out there. I'm looking forward to sharing a new cover song (secret) that we're working on with the video crew out there, as well as catching some of Tinarawen and Shakey Graves' sets, among others. Tribune: Tell me about Rise Collective. How does that mission — and activism, in general — complement your musical vision and endeavors? Smith: The Rise Collective and Slow Music Movement is the work we have been doing that is bigger than just our own band and our work on stage. We are working on environmental, racial and social justice initiatives that link with local organizations where we tour. That way, when we gather ... the energy of a show can stretch into the local community. This means lots of things, from permaculture action days to concerts in prisons to youth work to medicinal plant studies. It also encompasses nontraditional tours like train and sailboat tours that explore how we can share music in slower more intentional ways. Tribune: What do you like about being traveling musicians? Smith: I love witnessing the wider world. Seeing all the many ways that people relate to one another and build their lives. I love seeing what different cultures prioritize and taking some of those lessons into my own life. Music is such a universal language, and it never fails to amaze me that I can be on the other side of the world connecting to people and the environment through songs. It's a beautiful thing. 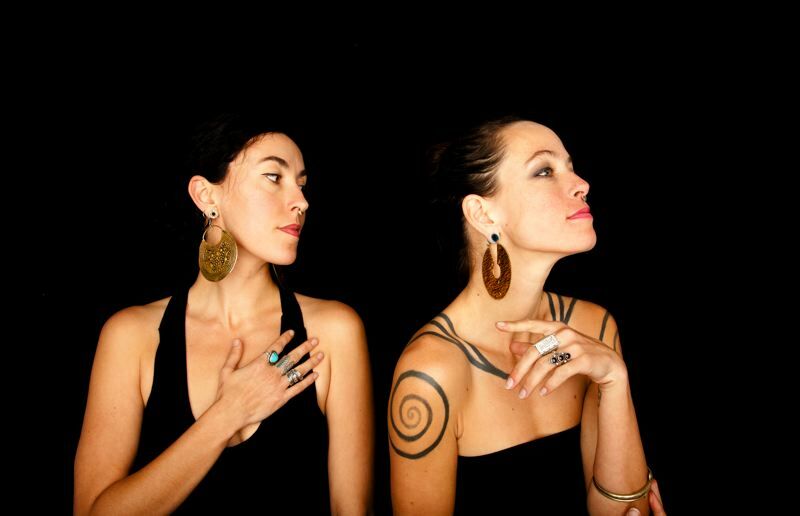 Rising Appalachia performs at Pickathon at 7:10 p.m. Friday, Aug. 3, and 10:15 p.m. Saturday, Aug. 4. Pickathon takes place at Pendarvis Farm in Happy Valley. For more: www.pickathon.com.